Also made from medical grade borosilicate glass, the Grosche Glasgow glass teapot has a capacity of 1 liter which is great when you are serving tea to 5 people. The teapot comes with an infuser also made from borosilicate glass that is perfect for your steeping. This infuser can be easily removed when brewing flowering teas. If you get it with the Grosche Sahara warmer you can keep your tea hot for many hours at a time. There is a plethora of companies today manufacturing glass teapots and tea kettles that make the tea drinking experience even more exciting than it ever was. With so many brands and models on the market it can become tricky choosing the best one for you. Below are the top glass teapots and tea kettles from today’s top brands that you should consider if you are looking to add a great piece to your kitchenware collection. 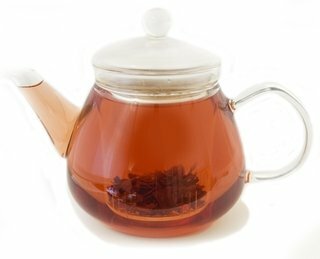 These are the top glass teapots and teakettles in the market today from the leaders of the industry. If there is a perfect teakettle out there for you then it is probably on this list. Whether you are looking to buy an electric kettle or a teapot, whether you want to compare various brands or even when you want to see which model from one specific manufacturer is the best, the TheTeaSupply.com reviews will get you to the most viable conclusions. Check out all the tea product reviews from the TheTeaSupply.com!